WORTHY OF AN OIL PAINTING! My latest pet portraits, Lulabelle and the the pair, Buddy & Monty! Both were a delight to create. They were also surprise Christmas gifts, so I had to wait to post. The cat's out of the bag, now! 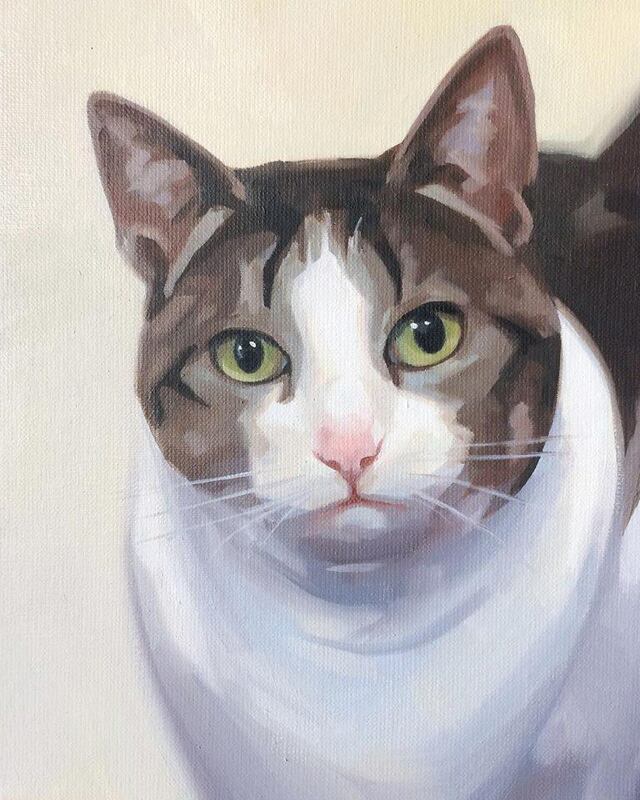 Speaking of, I paint cats too! VIEW MORE AND INQUIRE ABOUT YOUR OWN PET PORTRAIT! Posted on December 25, 2015 by Sandra MacDonald.